The world of car insurance is filled with technicalities and important information that you should always be aware of when you insure your vehicle. It’s not merely a matter of going to a company that provides the service and accepting the first offer you receive. In this article, we talk about the insurance deductible, what it is, and how it can benefit you in case of an accident. 3 When Do You Pay the Deductible? 8.3 What happens after an accident? 9 Is there a catch to vanishing deductible auto insurance programs? A car insurance deductible is the amount of money that you pay up-front before the insurance company makes a payment for an accident. This means that if your deductible is $600 and repairs for a crash are $900, you will have to pay $600 and the insurance company will pay the remaining $300. 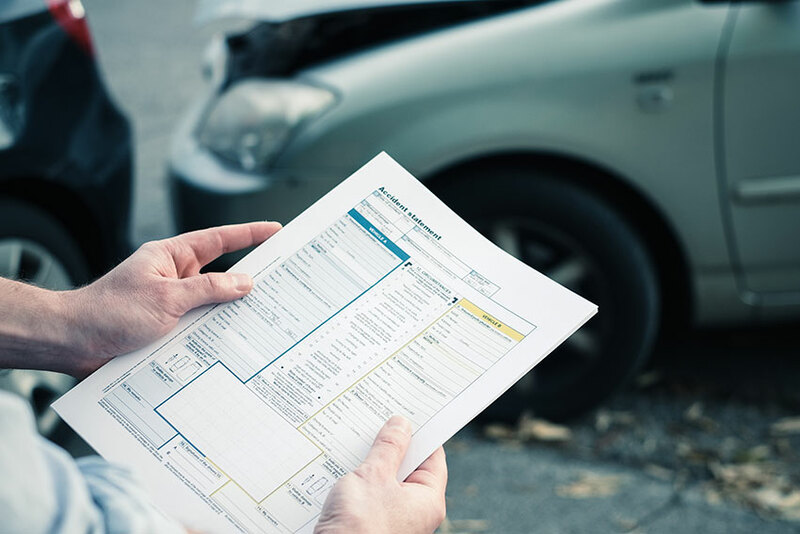 Deductibles apply to collision and comprehensive coverage. Both of these insurance types are optional in Ontario. The law requires minimum levels of coverage and it does not require financial protection for your own vehicle. If you’ve borrowed money to purchase your car, the agency issuing the loan may insist on collision and comprehensive insurance while you’re paying off the loan. Accidents and mishaps do happen suddenly. So while choosing your deductible for your car insurance, you may make an informed wise decision. You may want to look at the worth of the car that you plan to get insured. This may also affect your reason to claim in the future. If you have sufficient savings to back up your sudden expenses then, you may choose a higher deductible. If not, a lower deductible could work better for you. Also, some choose to have lower deductibles assuming they may never claim at all. If you are in an area of a city that has a lot of small accidents due to high traffic, you might want to have a lower deductible as this would certainly save you some money. But if the chances of an accident are lower in your area, you should look for a higher deductible which will save more money on your insurance premium. When your new car is your pride and joy, you may well want to know it’s covered completely while still carrying the new car smell. A low deductible — accompanied by high premiums — may be the perfect solution for you. When you drive an older car, though, this may not be a priority. Cars with low blue book values can be insured more cheaply to start with. Consider raising deductibles if it’s likely you will dispose of an older car after an accident, rather than repairing it. Choosing a higher deductible obligates you to pay more in the event of an accident. It’s one thing to come up with $250 if your deductible is low. When your deductible is $2,500 your commitment is more substantial. If you’re a disciplined money saver, putting aside the difference in car insurance premiums may be an option. Whichever approach to deductibles you choose, be sure you can afford the cost should the worst happen. When Do You Pay the Deductible? If you’re 100 percent at fault in an accident, according to fault determination rules, you’re obligated to pay the full deductible. If you’re 100 percent not at fault, then your deductible may be covered by the direct compensation portion of your policy. This is included in the mandatory coverage in Ontario, but optional coverage can be purchased. When fault is shared in an accident, you pay a portion of your deductible. For example, when your deductible is $1,000 and you’re considered 50 percent at fault, you will pay $500. Victims of car theft with comprehensive insurance are covered, but the deductible is paid by the victim. In the event of a collision, if you are not at fault, you do not have to pay a deductible. If you have set a deductible on the policy, you may have to pay the full amount. It does not change based on the extent of your fault. In this case, the Direct Compensation – Property Damage cover on your policy will pay for repairs. This is a mandatory coverage on car insurance in Ontario. You may be involved in a car accident and the Fault Determination Rules as per Automobile Insurance Act may assess you at 100% at fault. In this case, you may have to pay the deductible. This amount may be set on your policy. The Direct Compensation – Property Damage cover on the other party’s insurance policy may pay for the cost of repair. If you are found partially at fault, you may pay only a portion of the deductible set on your policy. The deductible amount may directly depend on the percentage of your fault as per assessment. If your car is vandalized or stolen you may claim under the comprehensive coverage on your insurance. In this scenario, you may have to pay the deductible towards the claim. In case, your car is hit by an unidentified vehicle you may need Collision coverage to make a claim. If you don’t have collision coverage on your policy, you may have to pay for the damages out of your pocket. If the other party who hit your car gets identified then you may claim under the Direct Compensation coverage on your policy. In this case, you may not have to pay the deductible. Car insurance in Ontario is the most expensive in Canada, and possibly in the world. Motorists frequently pursue cost savings on premiums, since car insurance uses up almost five percent of a driver’s disposable income. Buying insurance based on price alone may undermine expected coverage in the event of an accident, so it’s important for a driver to understand what their insurance dollar buys. There is a baseline of coverage that the province mandates for all vehicles using Ontario roads. Trying to save money by reducing this coverage will just not happen, as insurance companies can’t issue anything less than this amount. The primary component of coverage is third party liability in the amount of $200,000. With settlements for serious accidents frequently exceeding this amount, most Ontario drivers carry more. If a driver is sued following an at fault accident, the insurance company will cover settlement amounts up to this limit. If a settlement is for $300,000 and a driver carries only minimum coverage, the driver is responsible for the remaining $100,000. Therefore, purchasing additional liability coverage of $500,000, $1 million or even $2 million is common. Changes to accident benefits occurred in June 2016 that combined and reduced some amounts paid out for catastrophic and non-catastrophic injuries, so now top up coverage is available for these also, when a motorist is concerned with the limits to mandatory coverage. Collision and comprehensive car insurance coverage is not required as part of provincial law. For motorists with older vehicles, it may be more affordable to replace a car after an accident that to file an insurance claim, and therefore, collision and comprehensive insurance could be removed from the policy. Cars that have been financed may have conditions from the loaning company for this coverage. Drivers who can’t afford to simply replace a damaged vehicle also see collision and comprehensive coverage as essential. To understand this coverage, knowledge of deductibles is important. In the event of an insurable accident, both the driver and their insurer may be responsible for covering costs of repairs. The driver’s portion is called the deductible, and it is paid before the insurance company contributes. With the June 2016 changes, standard deductibles for both collision and comprehensive insurance is now $500. This means that, if damage resulting from an accident is $1,000, a driver with standard deductible collision insurance will pay $500 and the insurance company will pay $500. Raising deductible limits has the effect of decreasing insurance premiums, since the driver assumes more financial responsibility in a claim. In the same example, a driver with a $2,000 deductible would pay the entire $1,000 repair cost. A motorist must decide on deductible limits that balance affordability of an accident against monthly premiums. In some cases, deductibles can be waived. This most commonly occurs when accidents are the fault of another driver. With comprehensive insurance, which protects against theft, vandalism, fire and extreme weather, deductibles may be waived for some causes of damage. As with any matter related to your car insurance policy, check with your agent or broker for specifics. When it comes to auto insurance in Ontario, the term ‘vanishing deductible’ has two applications. When referring to the statutory accident benefits coverage of the mandatory car insurance coverage, it has one meaning. As a product offered by some insurance companies, it applies to optional collision and comprehensive coverage. In both cases, the result is an insurance recipient paying less for benefits after an accident than they would normally. The approaches are, however, quite different. Let’s take a look at both. In 2003, the Ontario government introduced a $30,000 deduction on the claims an injured person made against an at fault driver. This was intended to reduce the number of lawsuits arising from relatively minor accidents. Thus, if a victim sued an at fault driver for $50,000, a successful lawsuit would only produce $20,000 in awards. Once the victim’s lawyers received payment, the remaining award could be quite small. This design aimed to reduce opportunists and fraud. The vanishing deductible in this case, came into effect when the general damage award hit the $100,000 mark. At that point, the $30,000 deductible ‘vanished,’ and the full amount of the award returned to the victim’s side. Changes occurred in 2015, raising the deductible to $36,540. Declared as a move to offset the effects of inflation, this almost 22 percent increase is the first in a series of increases. Each January, the deductible level rises by an amount equal to inflation from the previous year. The vanishing point moved up along with the deductible. Also nearly 22 percent, the new vanishing deductible threshold became $121,799. Similar changes to claims by family members also applied at this time. Whenever vanishing deductibles get mentioned in relation to accident benefits claims, these are the legislative points being discussed. Since it’s an after-accident regulatory point, few motorists may be familiar with the terms and concepts. There’s a product offered by some insurers as a way to assure long-term loyalty. To understand how this works, a driver needs to fully understand regular deductibles. Collision and comprehensive insurance are, in Ontario, optional products. A driver doesn’t need to carry these to meet mandatory insurance standards. 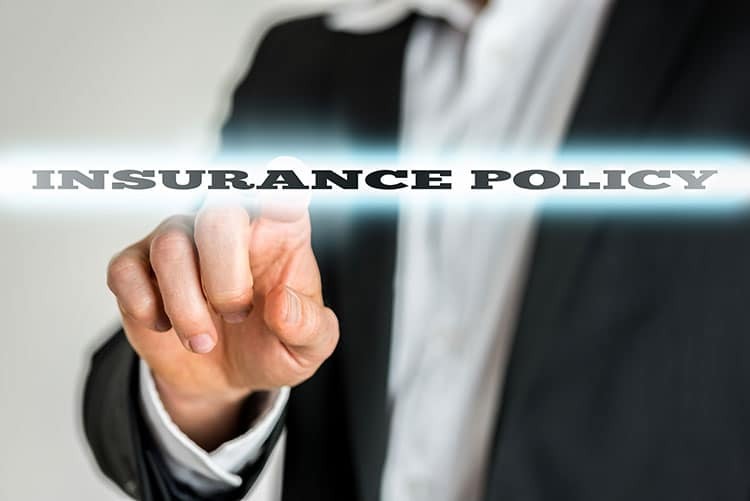 However, since motorists carry insurance to protect themselves as well as for legal requirements, collision and comprehensive endorsements usually factor into the auto insurance equation. These two sections ensure that the car’s owner has a minimal cash outlay after an incident, rather than carrying the entire burden themselves. The amount of the burden is the deductible. A motorist chooses the balance between deductible and premium that best suits their situation. For example, a driver with a healthy savings account may choose a higher deductible, meaning they pay more for repairs or replacement after an incident, while the insurance company pays less. For this, their annual premium is lower. A motorist with little cash on hand may want to keep a low deductible so they pay less out of pocket after an accident, while paying more for their policy. A vanishing deductible means that a driver potentially pays nothing at all after meeting conditions of the policy endorsement, making it an attractive feature for some motorists. With most programs, the vanishing deductible is gradual, over time, rather than triggered by another threshold, like the accident benefits has. Usually, this is five years, and it requires that a motorist maintains a record free of accidents, insurance claims and moving violations. In that regard, a vanishing deductible works much like any good driving discount, except that the benefit is the reduced deductible, rather than a discount off of the entire policy. To illustrate, consider a driver with a $500 deductible amount on their policy. Once they sign on for a disappearing deductible, each year of clean, claims free driving earns them $100 off their deductible. If, in the first year of the program, they have an incident for which the deductible applies, they would pay $400 before the insurance company contributes, rather than $500. The following year the amount is $300, then $200, right down to zero with five years of clean driving. Of course, if the driver has an insurance claim, the program resets to the beginning, starting another clean driving period to vanish their deductible. The program intends two things — to keep a driver with one company and to encourage attention to safe driving — on the surface at least. Some insurers may offer to carry over claims free time with another insurer as a feature that attracts new business. Not every insurer may offer a disappearing deductible program. Every insurer in Ontario creates their own programs and pricing systems. These are subject to approval by the Financial Services Commission of Ontario, but in a competitive market, every company has flexibility with which to seek market advantages. For example, some companies may offer vanishing deductibles on collision only, while others include comprehensive deductibles as well. Is there a catch to vanishing deductible auto insurance programs? While the idea sounds great, reduced deductibles as a reward for continued safe driving, it doesn’t just happen. That’s where safe driving discounts and vanishing deductibles differ. Safe driving discounts kick in when you reach the insurance company’s threshold in clean driving time. Vanishing deductible programs cost you to join. To earn the lower deductible amounts, you not only have to maintain a claims free record, you must pay for the vanishing deductible endorsement on your policy. If, for example, the endorsement costs $75 annually, after five years, you’ll spend $375 for that $500 off your deductible, saving you only $125 in real terms. With seven years of claims free driving, you’ll pay $25 more than the money you saved. Of course, insurance is a product that’s purchased in the hopes it’s never used. For many drivers vanishing deductibles are worthwhile protection. Be aware that not every company’s program is the same, and not all insurers may even offer these endorsements. As your insurance company, agent or broker for details specific to you. Good driving and loyalty programs don’t always offer the lowest rates for car insurance coverage. Use Ratelab’s car insurance calculator to scan the market for the lowest prices available to you. Start the no-cost, no-obligation process by entering your postal code above. In 15 minutes, you may find hundreds in savings.